The girls won their last game to finish 9th in provincials (the best they could finish after losing the first game and going to the 'C' side). The coach gave all the grade 12's flowers for their last high school game. 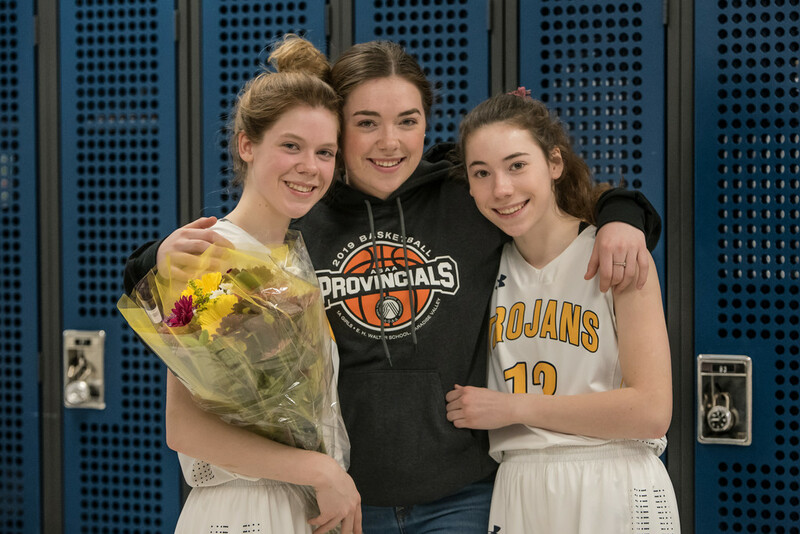 Maya came home from university for the weekend and I loved this picture of my three oldest girls.